I listened to a radio item on shame the other day. I hadn’t realised that guilt is what I feel about wrong things I’ve done. Shame on the other hand, is how I feel my wrongdoing is being received by others – how I feel about myself through their eyes. When I say sorry, and am forgiven, my guilt is dealt with, and I can be free of it. What can hold me back, is the awareness of what others might think of me. Shame. Those who hope and trust in God, says David, don’t need to feel ashamed. They can choose not to wear it. (Psalm 25:3). Those who reject God’s offer of love and forgiveness have no choice but to suffer shame as well as guilt. David had a heap of problems. Most of them could not be solved by any of his friends. But when he’d done agonising, it turns out he did have a good enough relationship with God to ask him. He found he was always to be trusted, always capable, always willing. The one friend he could hope in, no matter what. That’s our God. What a friend! 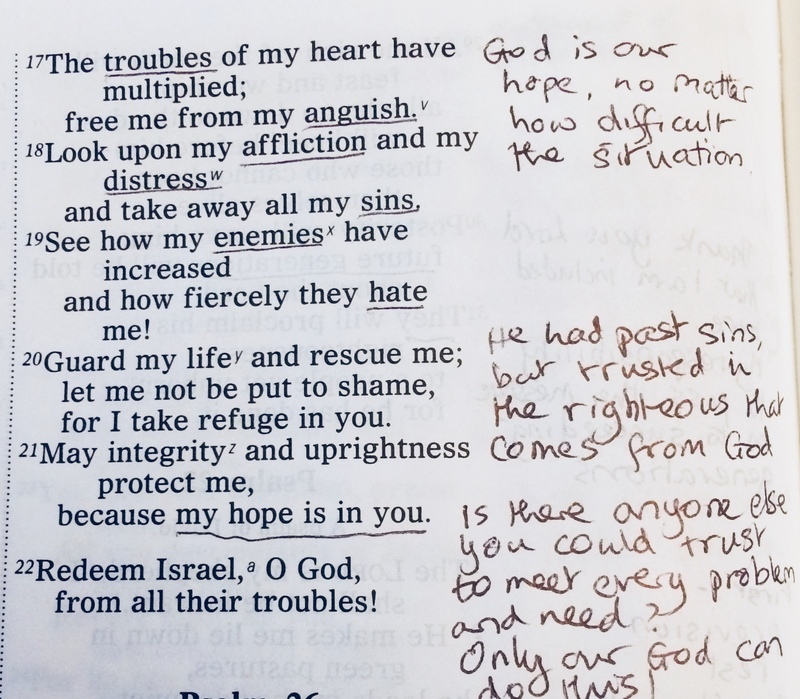 This entry was posted in Bible, Christianity, Psalms and tagged a friend in need, friends, guilt, hope, life problems, Psalm 25, repentance, shame, trust. Bookmark the permalink.